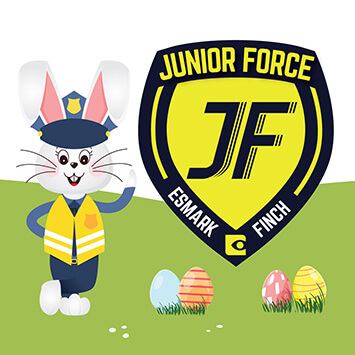 Does your little one have what it takes to join the Junior Force? Huge Congratulations to our winner Irene O’Kane, who won this amazing prize. 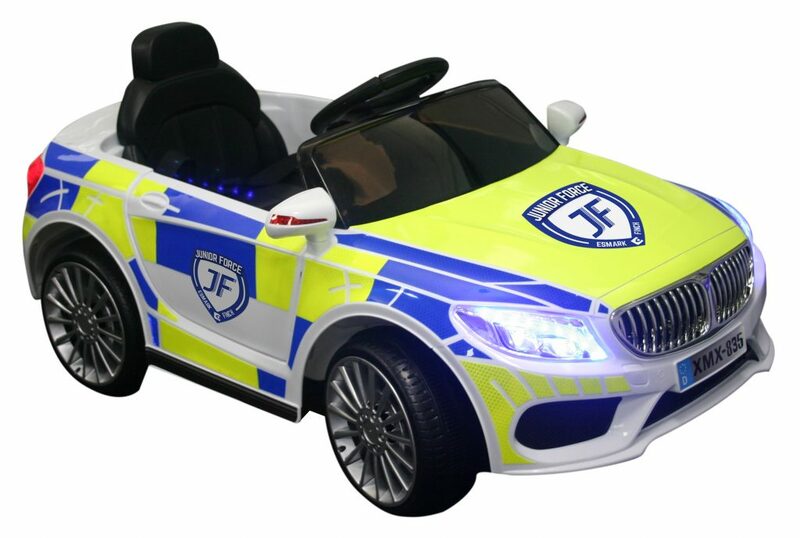 We had a great time showing this little one her new Junior Force Car. We hope she has fun patrolling her neighbourhood and keeping the adults in check. To be in with a chance to win, we have an Easter Egg Hunt on our website. All you have to do is find the Golden Egg hidden on our website and fill in your details. We will announce our winner on our social media accounts on Easter Sunday, so make sure you like our page and keep an eye out to see if you’re the lucky winner. Optional parental remote control – The car can be used with the in-car controls, using the pedal, forwards/reverse gear-lever and steering wheel, or can optionally be used remotely with the parental control. The parental radio remote can operate from up to around 20m away and controls forwards/reverse and moves the steering wheel left and right. MP3 player input – The car comes with a cable which plugs in to the dashboard, allowing an MP3 player or any other device with a headphones socket to be plugged in, and the music played through the car speaker. Plugging in a device disables the in-car sounds! Indicator sounds – Steering wheel activated turn sounds. 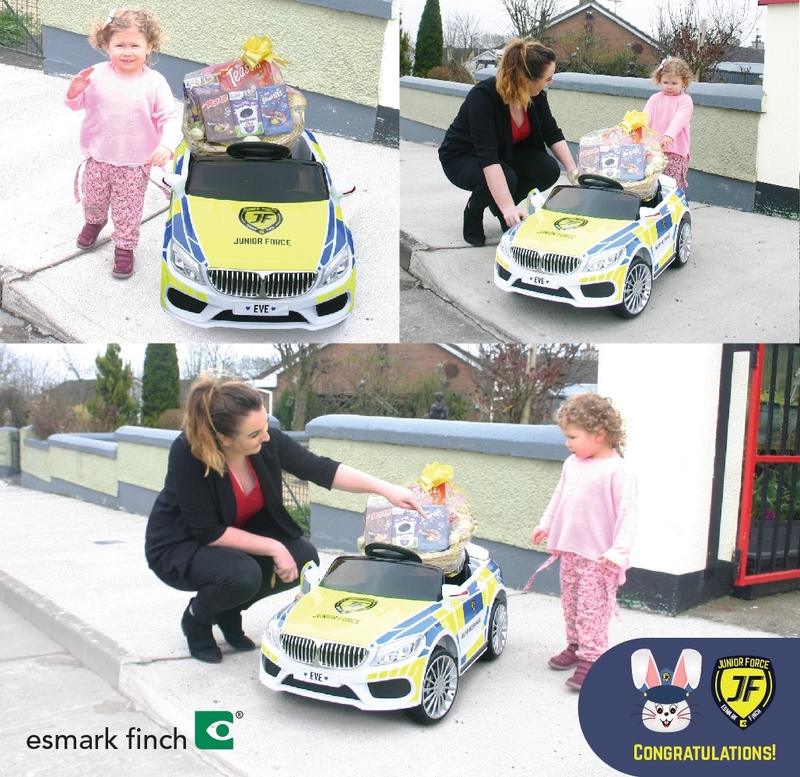 Esmark Finch does not accept responsibility for any accidents or injury that may occur for operating electric ride-on-car and the winner should follow advice of safety information. The winning entry will be selected in random draw on 31/03/2018. The judges decision is final. Entries received after the Giveaway closing date will not be entered into the draw. Winners must agree to participate in any promotional activities that may be organised by Esmark Finch in connection to the Give Away. Presentation of Give Away should take place in person with winner available to collect prize from office or available to accept delivery in person.